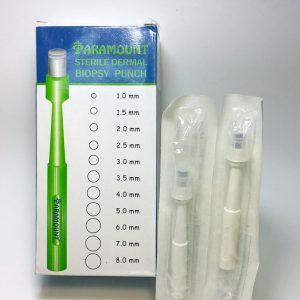 This item has been discontinued and is replaced by the Optilene range. Premilene® is a non-absorbable synthetic monofilament suture made of polypropylene, available in blue to enhance visibility. 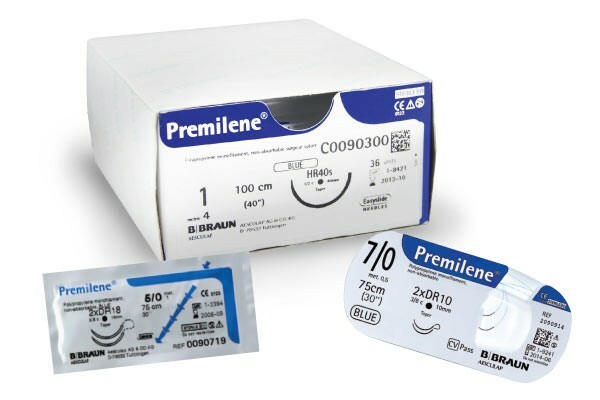 Premilene® sutures are indicated for use in general soft tissue approximation and/or ligation, including use in cardiovascular, ophthalmic and neurological procedures. Besides the normal DDP packaging, Premilene® is also offered in RacePack® presentation and LongPack presentation to avoid the memory effect. 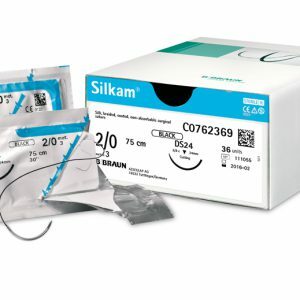 The new packaging system reduces the inherent memory effect of polypropylene sutures to maximum. Premilene® is now available on the RacePack® system, for a free continuous suturing, avoiding the manipulation of the thread and therefore the deterioration risk of the suture. This is very important when high precision and superior outcomes are needed. With RacePack® B. Braun has launched a new generation in packaging systems for sutures earlier this year. 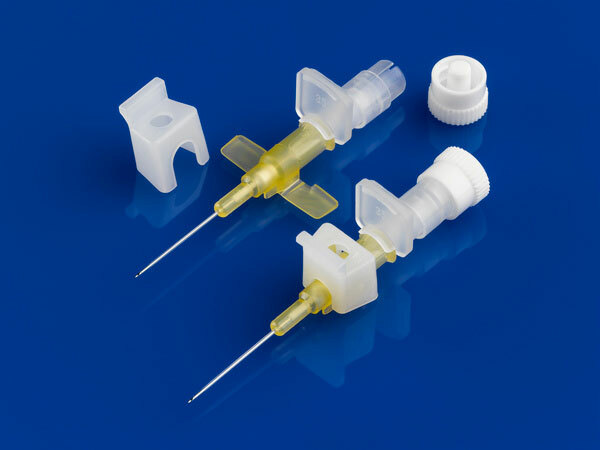 RacePack® reduces the inherent memory effect of all polypropylene sutures to maximum, exceeding 40 percent of the memory effect of competitors’ products in the market. 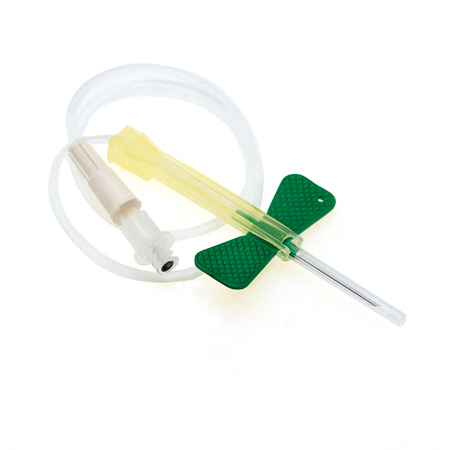 RacePack® also allows time saving due to the one step packaging system with direct access to the needle. RacePack® improves Premilene® outcome for its main indications: cardiovascular surgery, plastic surgery, intracutaneous skin closure and microsurgery.